Day 230: Loving the Long Tails! 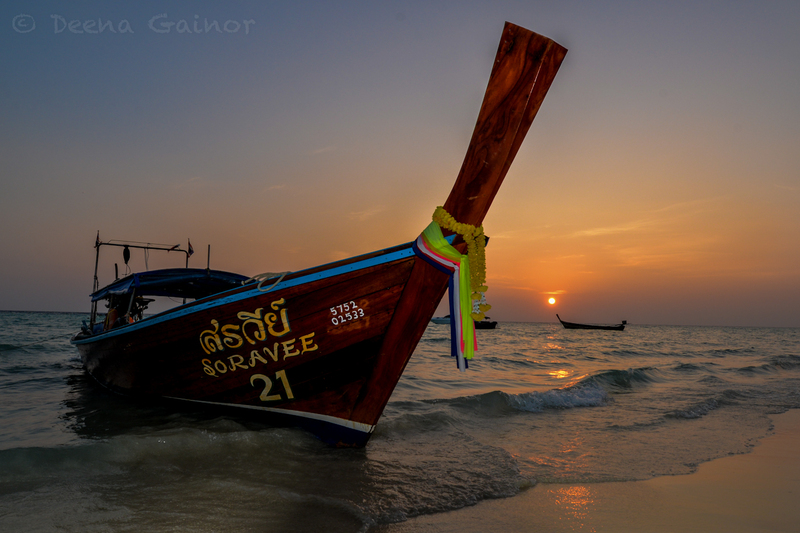 Thailand…land of the Long Tail Boat. I’m not sure what it is about Long Tail Boats, but I think they are beautiful! Here is one at sunrise. 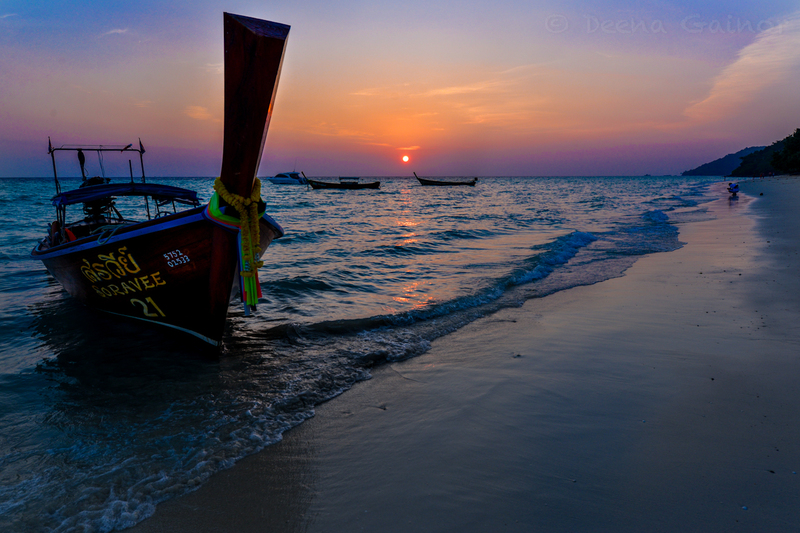 We took this photo on the Phi Phi Islands (pronounced Pee-Pee) around 6 am. A very early ferry transfer is the only reason we were able to capture this photo! We really enjoyed sailing around the Phi Phi Islands on a Long Tail Boat. On this particular day, we visited Mosquito Island and Bamboo Island, but the most fun the kids had was just hanging out on the Long Tail, jumping and snorkeling from it. Ryan loved jumping off the Long Tail! Here’s Danny…King of the Long Tail! Danny Loved the Long Tail Boat! And one last shot! Good bye, Phi Phi. We hope to see you again some day.